HomeLatest NewsLatest NewsDavid Rees AM Stands up for Steel. David Rees AM Stands up for Steel. David Rees AM for Aberavon today stood up for steel in the Senedd and opened the debate in which he called for action to help our Steel Industry. This vitally important debate, co-sponsored by Mike Hedges AM, asked for the Welsh government to do all that it can to support the Steel Industry in Wales and asks that the UK government takes urgent action on a number of areas, including addressing the high energy costs faced by energy intensive Industries, such as Steel, to ensure that Welsh Steel can be competitive in the global market. Mr Rees, a strong supporter of the Steel Industry, called for the debate in the wake of the job losses seen in the North of England and those, already lost in Llanwern and Port Talbot. In his opening remarks, David Rees noted that the Steel industry is in crisis. High Energy Costs, Environmental taxes, Business Rates, and regulation and the dumping of cheap low quality Chinese Steel and the strong value of the pound is making British Steel expensive. Mr Rees has also called on the UK government to go beyond simply setting up the working groups that were promised following October’s steel summit and to quickly produce the necessary practical actions for governments, industry and key organisations that are needed to support this major industrial sector. He also urged both governments to ensure that British Steel was able to compete and win British infrastructure contracts, and that British Steel, already used in iconic buildings from Sydney to New York, is used in the UK rather than importing Steel from elsewhere around the world. 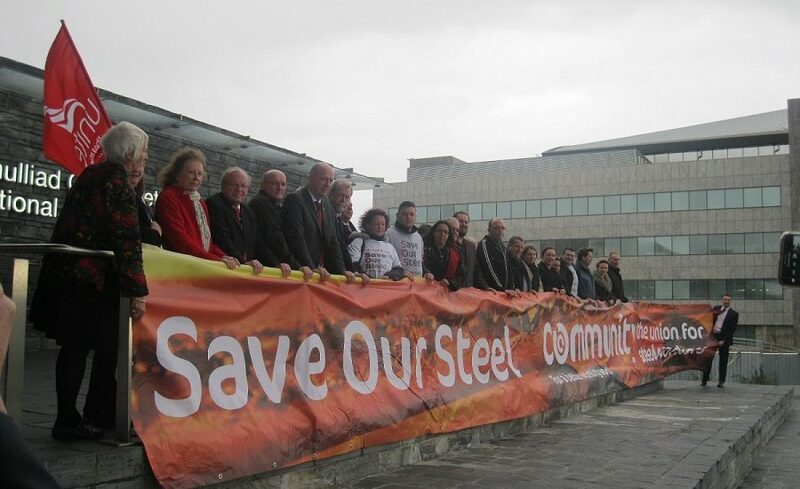 The call to save our steel, supported by all the Labour AM’s in the Swansea Bay region, was strongly represented and supported today on the steps of the Senedd where AM’s were joined by Union representatives and Steel Workers from across Wales, ensuring that the voice Standing up for Steel is heard in Cardiff Bay and in Westminster.